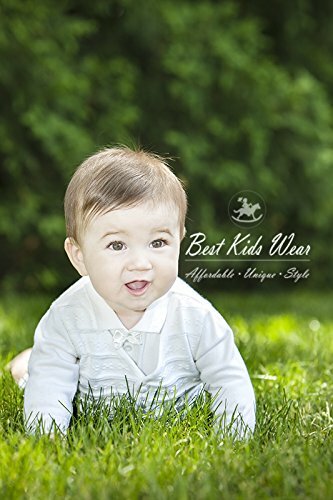 Our exclusive Christening Collection will be treasured for generations. 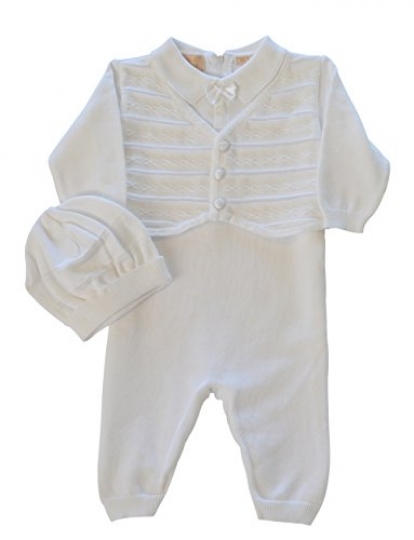 This stunning one-piece vested outfit in soft white, features a satin bow at the neck. Zip back and snaps underneath to assist with dressing. Perfect for before and after Christening. Also great for a church event, wedding, or any other special occasion. 100% cotton. Machine washable. 100% Cotton Knit. Machine Washable.